Tim loves Tina, but Tina loves Klaus. and leaves poor Tina at home. and drinks the whole day long. That's how love comes, that's how love goes. It hurts and burns; yes, love does what it promises. but Ron sometimes still sleeps with Sonja, and Ronja hasn't a clue. But, with great skill and some luck too, Ron doesn't break his neck. No, Ron is so smart, he makes Ronja his wife, with Sonja a friend on the side. That's how love comes, that's how it goes. Paul loves Peter, but Peter he loves me. Paul hopes that sooner or later dear Peter will just come around. But Peter loves women, and I am his dream. I'm his whole reason to be. He wants to have kids, since we are a pair, but I want a child from Tim. we live, and we learn from it all. This love song of mine is done. Remember when the McGarrigle Sisters sweetly sang, "It's only love, and it's only love/that can wreck a human being and turn him inside out"? There's only one songwriter I know today who writes in the same wry, wise, tender way. The surprising thing is that she writes in German. 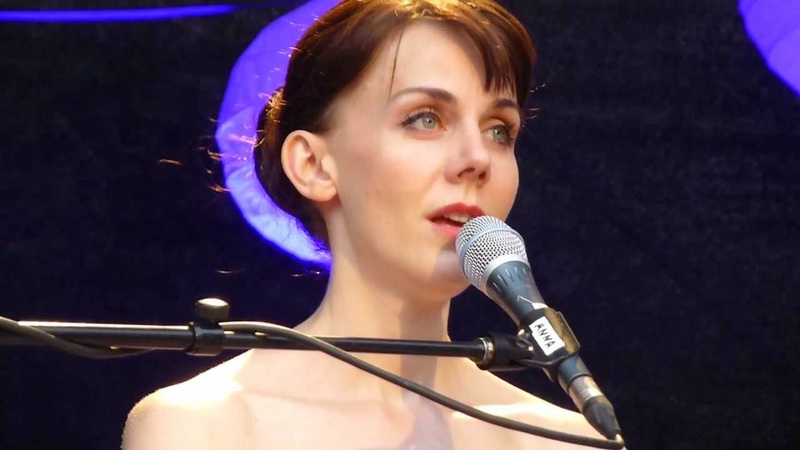 VIDEO: Anna Depenbusch sings "Tim loves Tina"